The Verizon IndyCar Series comes to Mid-Ohio for the 31st Honda Indy 200 on Friday, July 31st through Sunday, August 2nd. This race has produced legendary past winners including Andretti, Castroneves, Fittipaldi, Rahal, Unser and Franchitti, along with the magic of team owner Chip Ganassi who has a streak of five straight victories going. Fans should be sure not to miss out on the IndyCar Fan Zone, where autograph sessions and driver Q&As will make for a full weekend of activities. 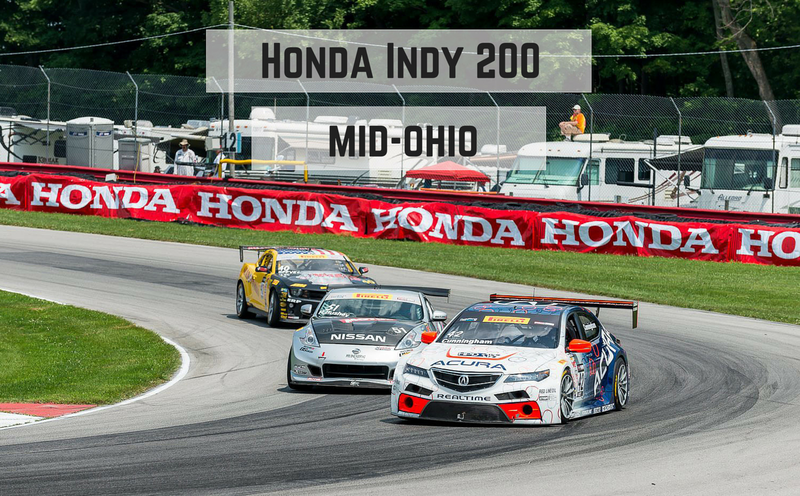 Additionally, Honda Racing, along with several of its Verizon Indy Car Series drivers, will host an evening of camping-related activities on Saturday, August 1 from 8-10pm for all guests camping at Mid-Ohio during the event weekend. Activities will feature a community bonfire – with s’mores – along with a tent and motorhome decorating contest for some fun competition off the track. Participants will receive awards for displaying the best-decorated tent site or motor home spot in each of two theme categories: Ohio Sports or Tropical. Grand prize winners will get a chance to experience a Pace Car ride around the track, while runners-up will receive various Honda-branded items. Participants are encouraged to post and get involved on social media with the hashtag #CampingWithHonda. Enter your campsite or motor home spot ahead of time by clicking here.